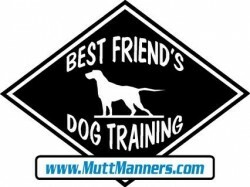 Come by and visit a dog training group class! You can meet our clients, ask questions and see results. You never need to make an appointment. Group Classes and Gatherings. Group Class are held at facilities we either own or rent specifically for our training sessions. Gatherings are usually in public locations that allow dogs, but by law, must be on leash. We can not control who comes into close proximity at the gatherings. Long Island Expressway to Rt 110 South. About 1 1/2 mile south of the LIE The location is on your left. We train here every Saturday from 10am -11am. Please feel free to come and watch, meet the trainers, and our clients. Everybody will be happy to help you and most importantly, you can see results from our training programs. In the case of possible rain, we will post on the main page of this site by 9am. A notification will also be posted on the Facebook page. Southern State Parkway to exit 28 (Wantagh Ave) South. Go south about 1.5 miles and make a left onto Park Ave. About 100 feet on the left is an entrance to a Municipal Parking Lot. Turn into the lot and go to the end. There will be a field in front of you. Sunrise Hwy to Wantagh Ave. Turn North and go under the train tracks. Make the right at the light (Park Ave). About 100 feet on the left is an entrance to a Municipal Parking Lot. Turn into the lot and go to the end. There will be a field in front of you. Coming Soon! Please check back for details. Please feel free to come and watch, meet the trainers, and our clients. Everybody will be happy to help you and most importantly, you can see results from our training programs.